It’s easy to assume that our daily rituals are merely recent traditions that have taken shape in recent generations. 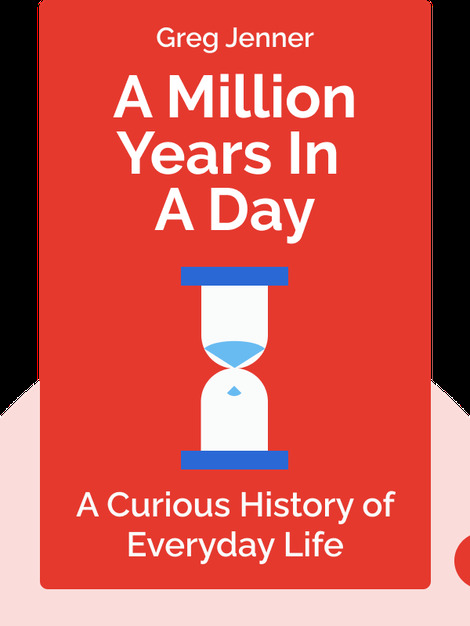 In reality, a surprising amount of basic habits can be traced all the way back to the Stone Age. 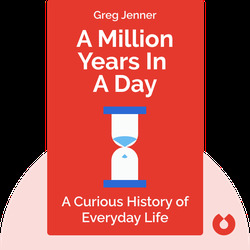 Greg Jenner’s A Million Years In A Day (2015) depicts a typical modern Sunday, from brushing one’s teeth to reading the newspaper, and reveals the long and hefty history behind our everyday lives. Greg Jenner has worked as a media consultant for major channels like the BBC, History USA and ITV, verifying the accuracy of historical dramas and documentaries. His writing has featured in The Huffington Post, The Radio Times and the BBC History Magazine.